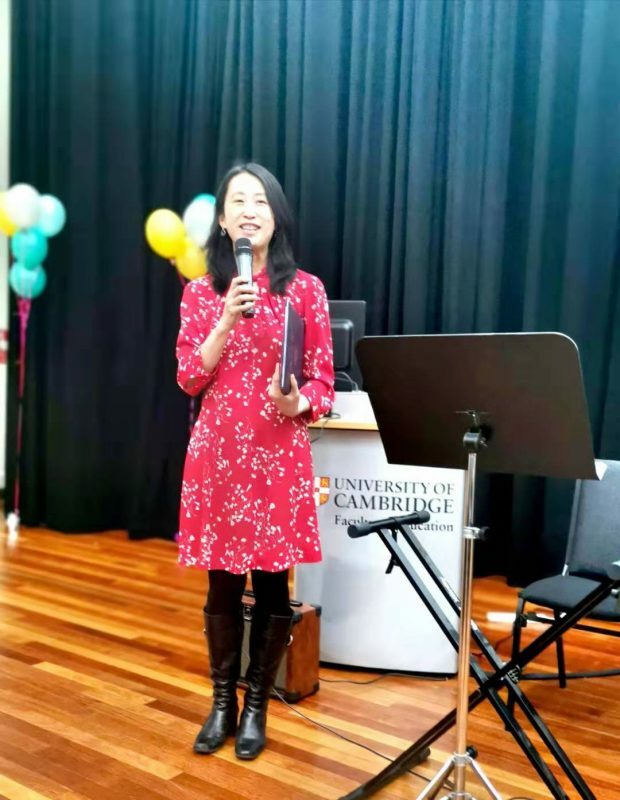 On Wednesday the 13th March 2019, Cambridge China Centre, together with River Cam Breeze Chinese Literature Journal and Ms Huaicun Zhang, curated and managed a very special event in Cambridge, the visit of Professor Cao Wenxuan, China’s No. 1 Author of Children’s Literature. 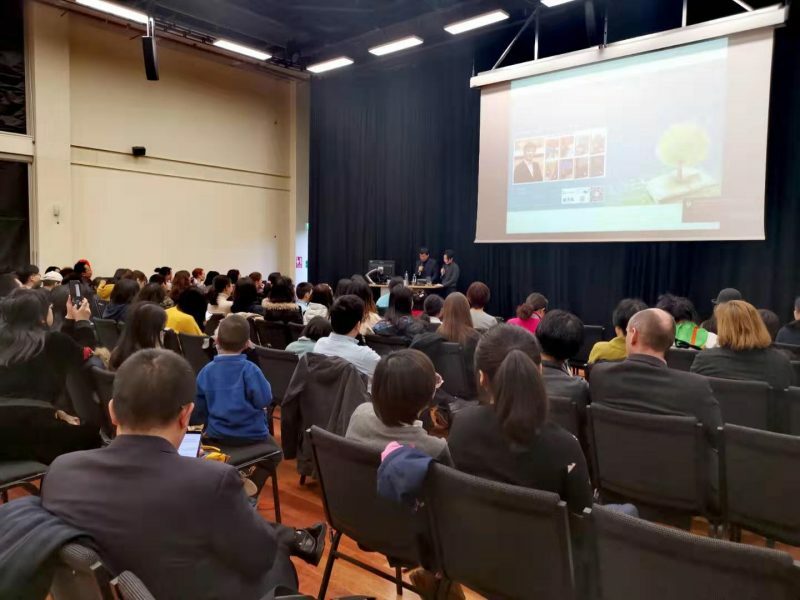 Cambridge China Centre has cultivated a strong and professional team managing the promotion, ticketing and smooth running of the event. 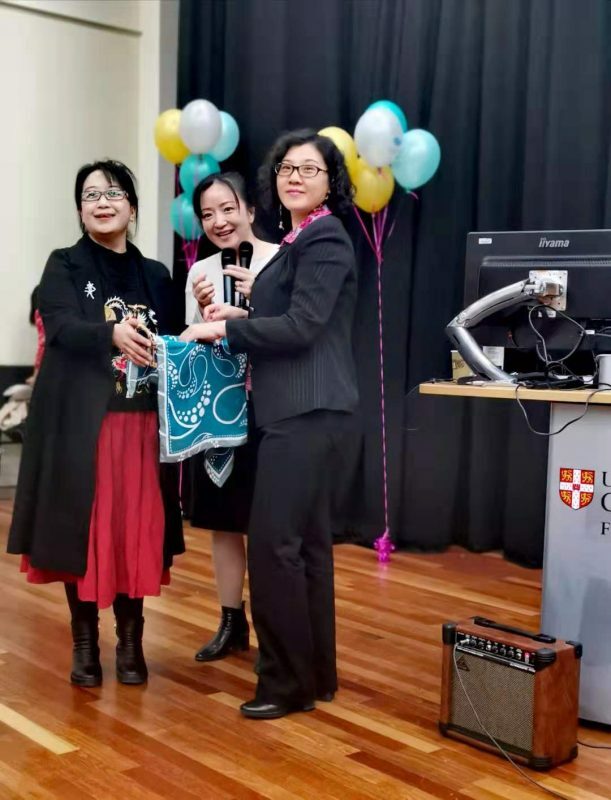 With great support from the Faculty of Education and Homerton College, the Two-Part Event with Professor Cao Wenxuan were grounded in the highest-standards of academic discourse, while at the same time, being a joyful celebration of Chinese literature in Cambridge. 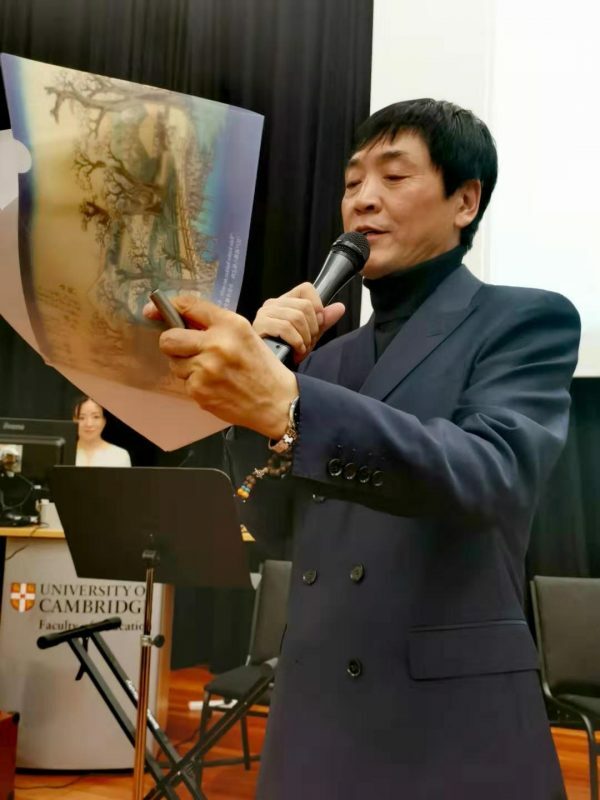 Working with our partners, we divided the evening into two distinct events, a formal Academic Talk (in Mandarin with an English translator, Xiaoxian Chen), followed by a Talk & Book Reading open to the public and aimed at fans of Cao Wenxuan’s writing. 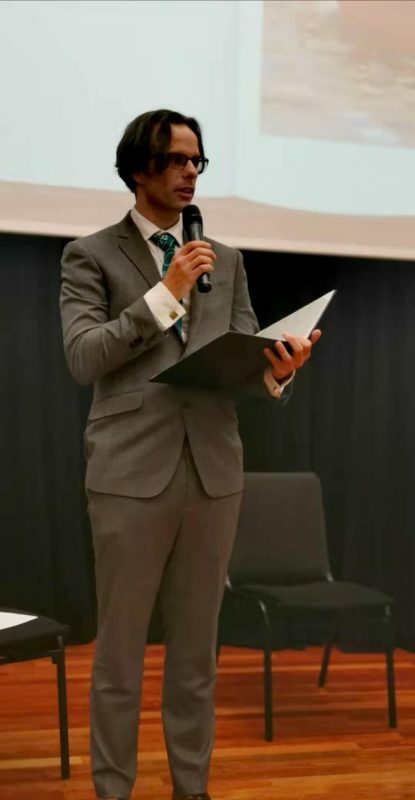 The first half of the evening gave Professor Cao an opportunity to address the researchers and lecturers from Europe’s leading centre for research on children’s literature. 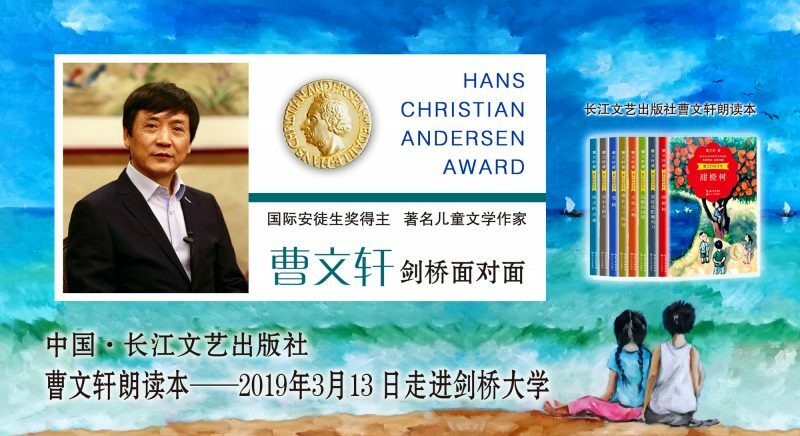 His speech challenged many of the students in attendance because it was grounded in classical Asian literature and his firm belief that literature has boundaries that should be observed by authors. 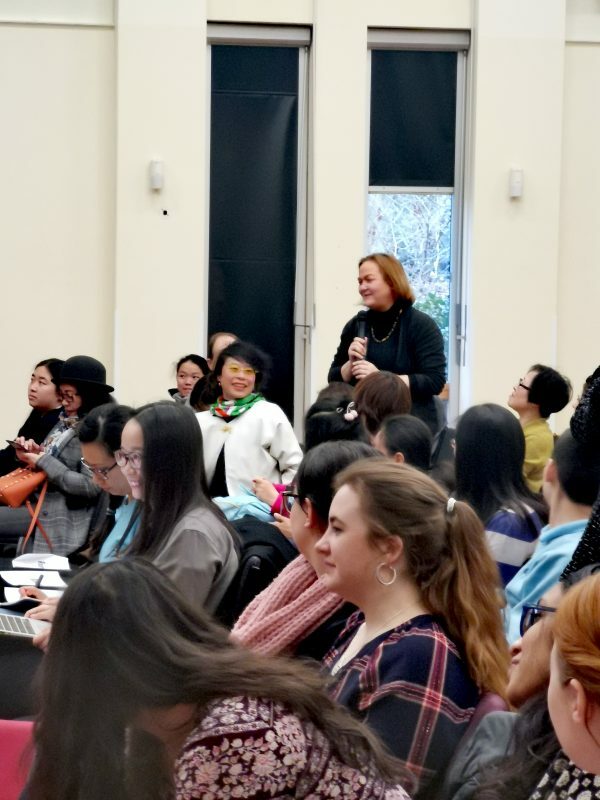 The audience were quick to debate the nature of these boundaries and who has the right to decide them; particularly as times and culture are always in motion. 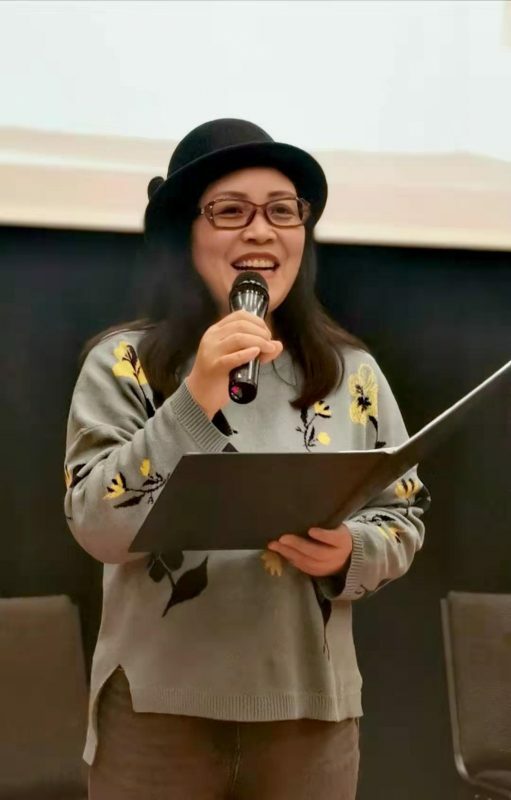 One question from the audience, about why Professor Cao collaborates with so many foreign illustrators, brought a fascinating multi-part answer about the nature of the publishing industry and general differences between the ethos of illustrators in China and Europe. 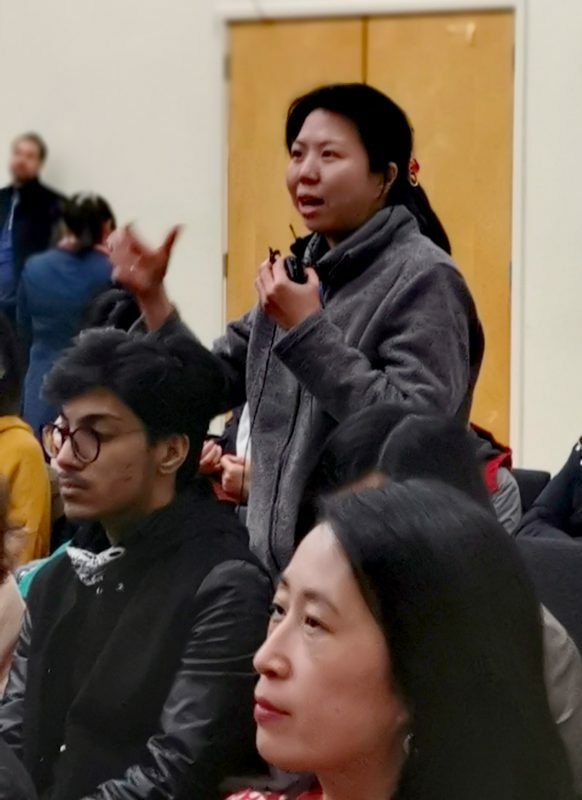 The moderator, Jinzhao Li of Cambridge China Centre, pointed out that we were lucky to have two Chinese illustrators (Huaicun Zhang and Rong Yu) in the audience that had recently collaborated with Cao Wenxuan. 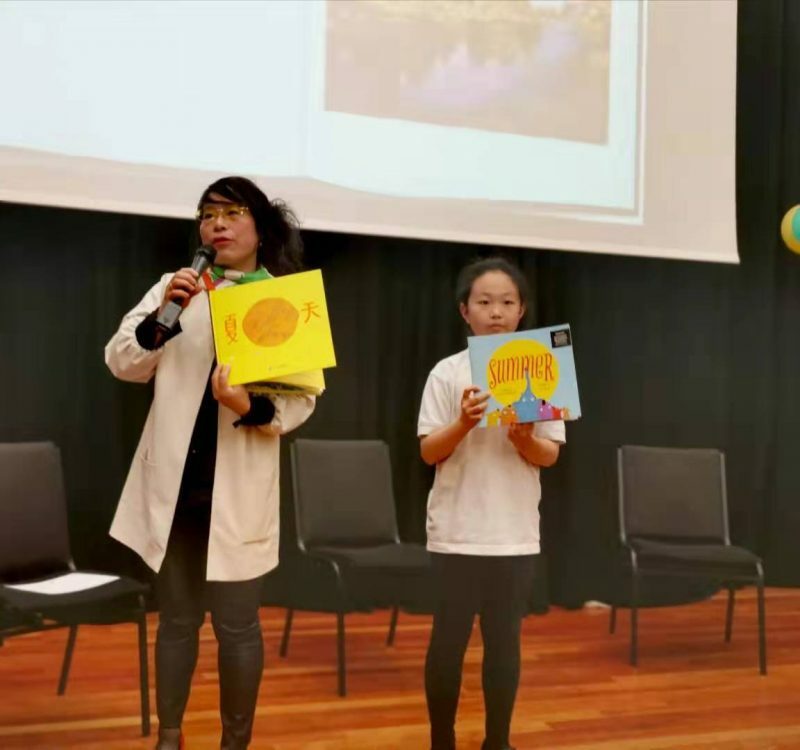 One of the volunteers of Cambridge China Centre, Dongni Wei, is a successful illustrator who has won the Bronze Sunflower Prize supported by Professor Cao. 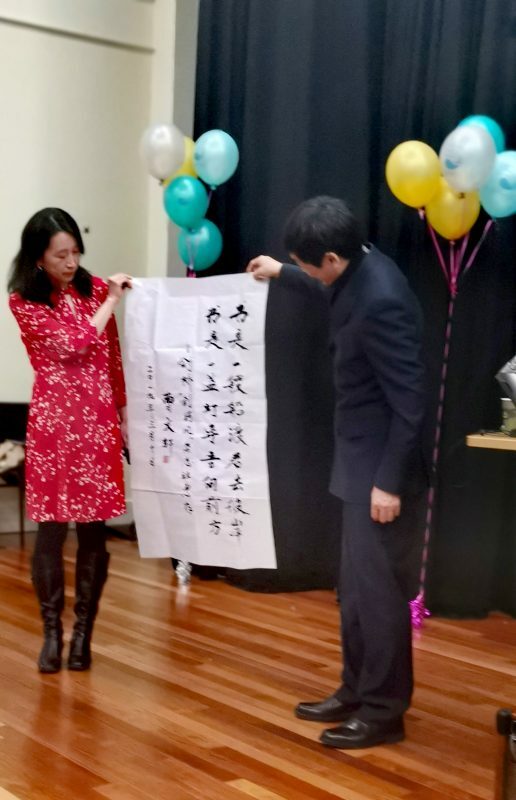 During the interval, attendees were able to explore the books of Cao Wenxuan through a display set up by his publishers, Changjiang Literature and Art Publishing Group. 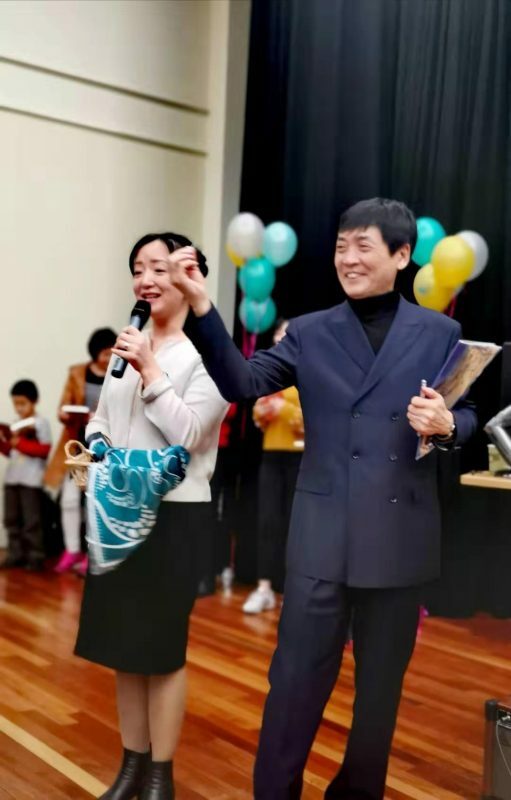 Cambridge China Centre corps of volunteers went into action setting the stage with balloons and giving out ‘lucky-draw’ tickets to the audience with the exciting prospect that they might win a book provided by Cao Wenxuan’s publishers. 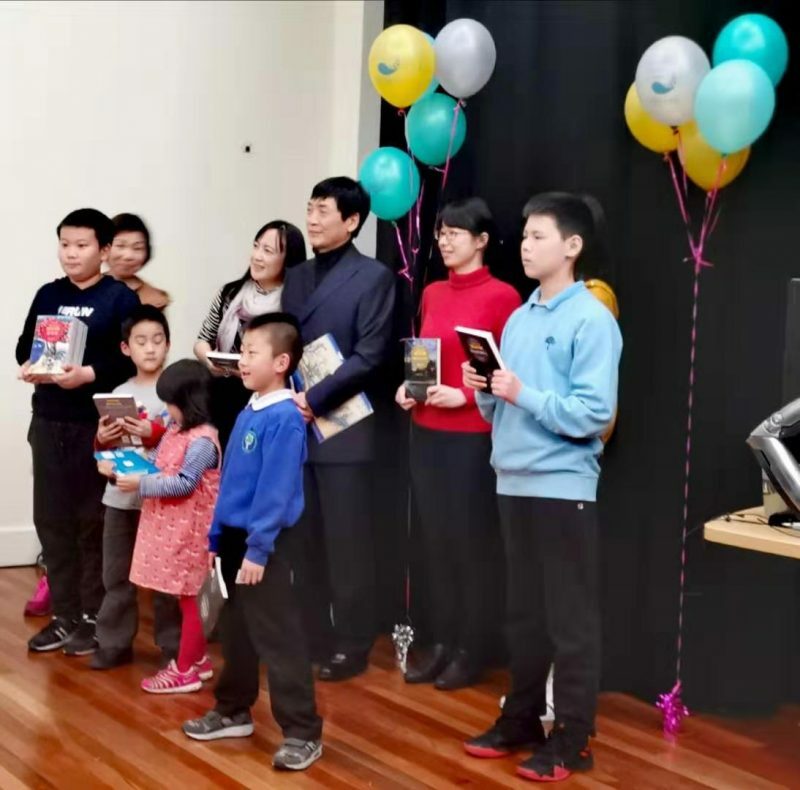 Of course, it was not just the children that were excited by the balloons and the hope of winning a book in the lucky-draw! 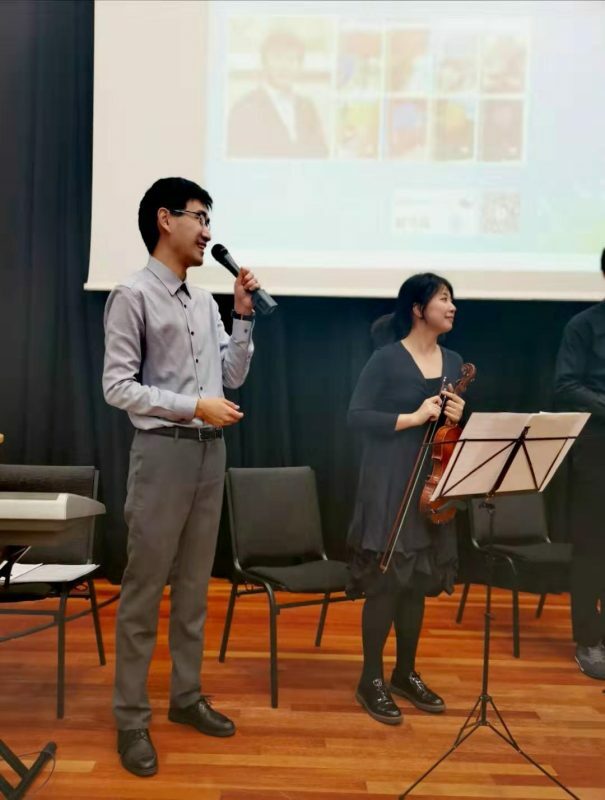 Helping to guide the tea and coffee break into the second half was a special treat; a short performance from the Piano Quintet (伦敦华人五重奏) playing selections inspired by the writings of Cao Wenxuan. 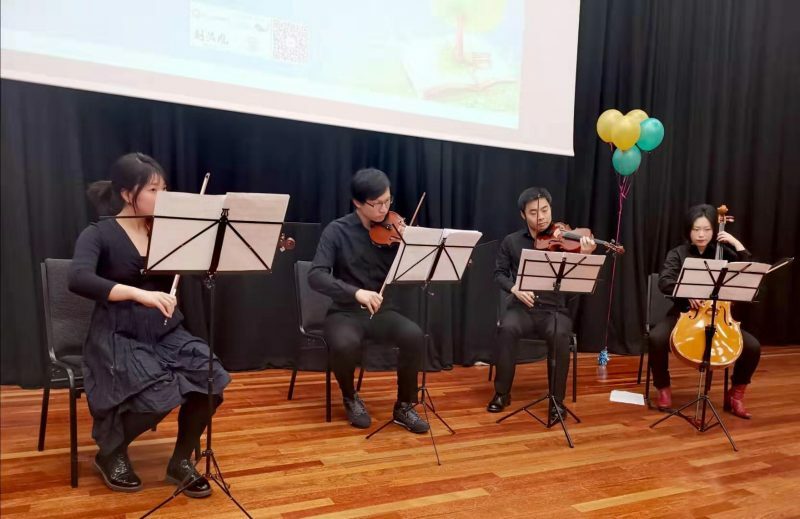 The music set amongst the newly decorated stage seemed to clear the air and inspire a more-relaxed and celebratory atmosphere. 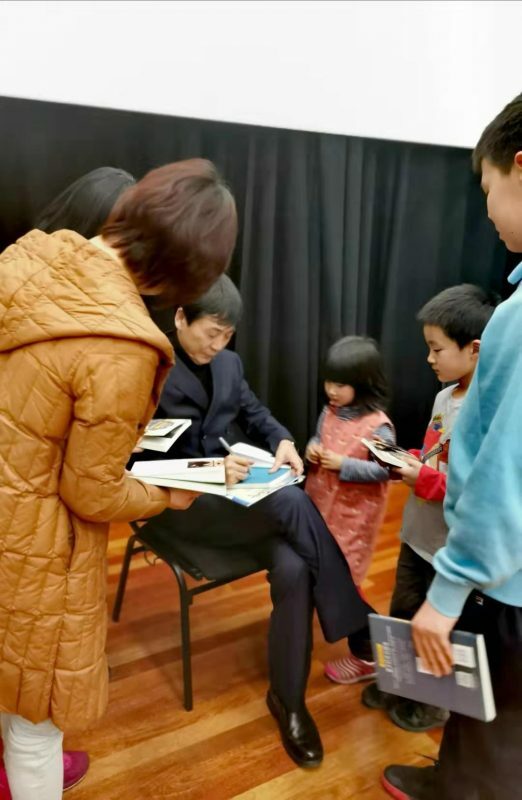 The second half was open to the general public and gave Professor Cao the opportunity to talk about his life, answer questions from the audience, and to read excerpts from his books. 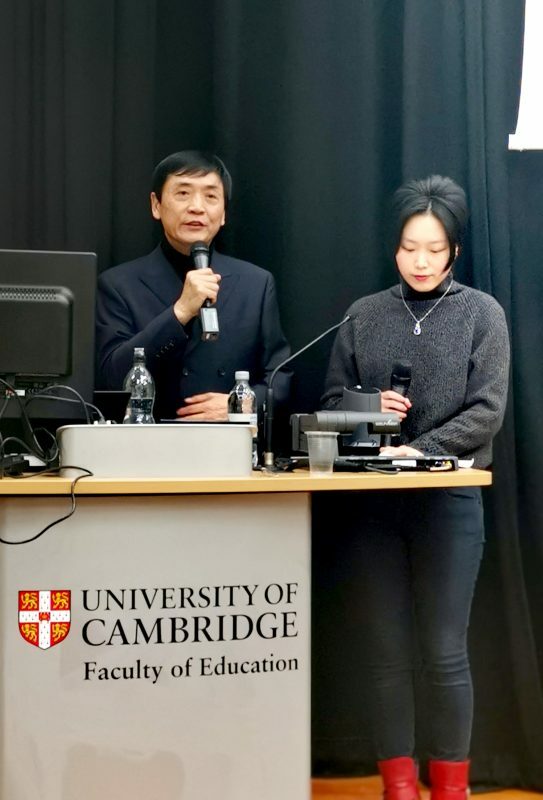 To finish the evening, Professor Cao was invited to sit in the first row and enjoy readings of his writings from some of his collaborators and the chief editor of Cam Breeze Journal (Dr Xiangyu Sheng). 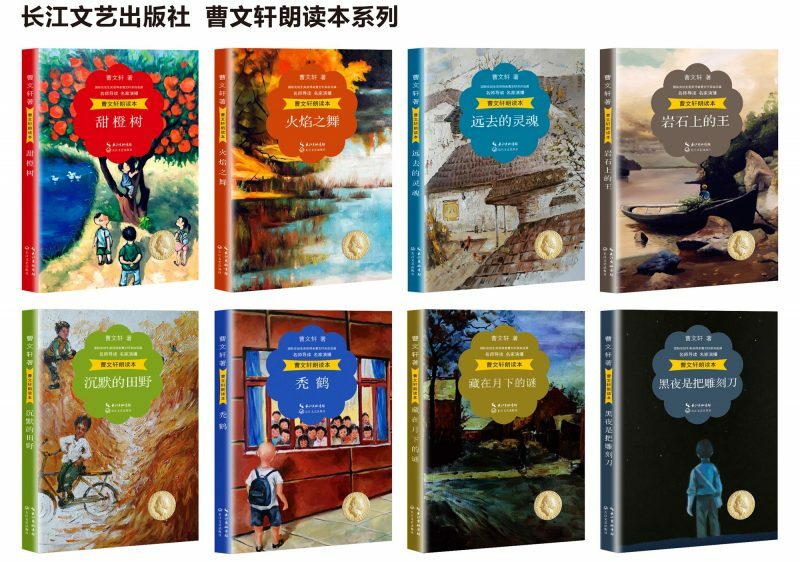 All of the readings were in Chinese except for the final one, an English translation of The Red Tiles due to be published in April 2019 (read by Dr Patrick Olsen, a PhD graduate from the Faculty of Education and Homerton College, Cambridge). 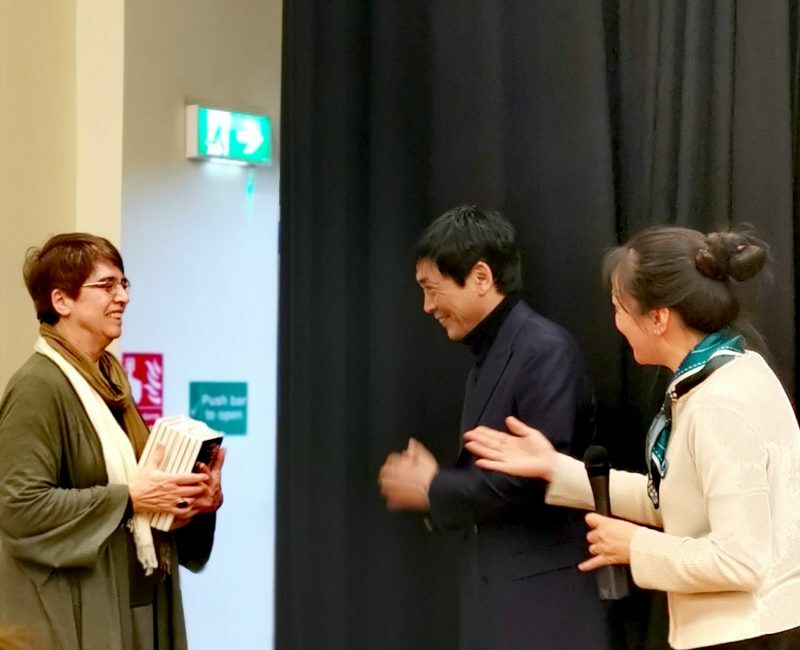 From the talks and book readings, the audience gained a sense of how their language and literature had journeyed beyond the horizons of China and was gaining a strongly respected presence in the University of Cambridge. 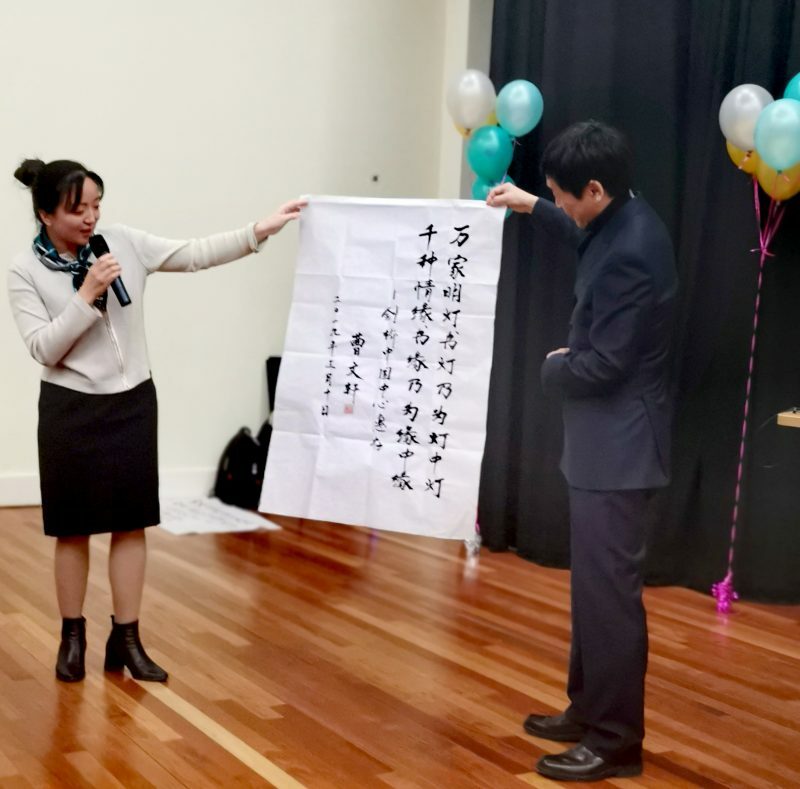 Professor Cao listened with great interest and touch as his words came back to him in another new language. 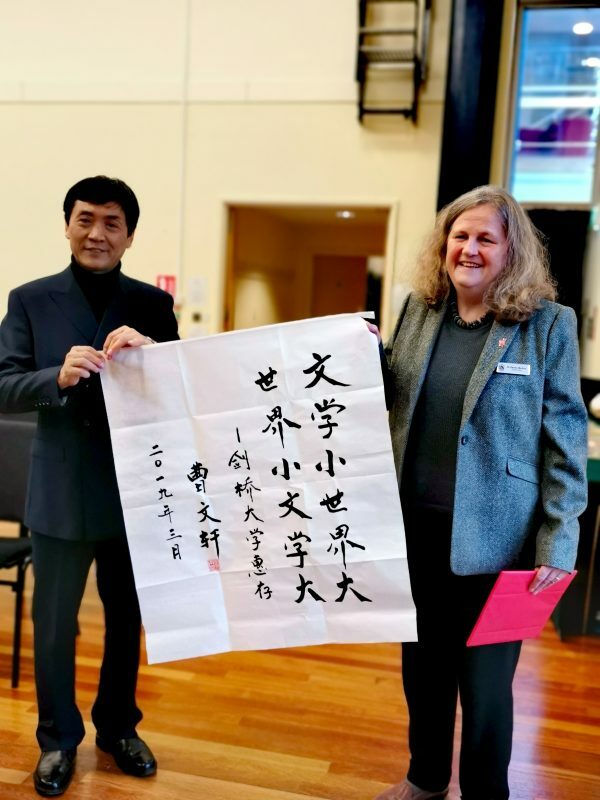 Cambridge China Centre would like to thank everyone involved with organising this highly-successful event. 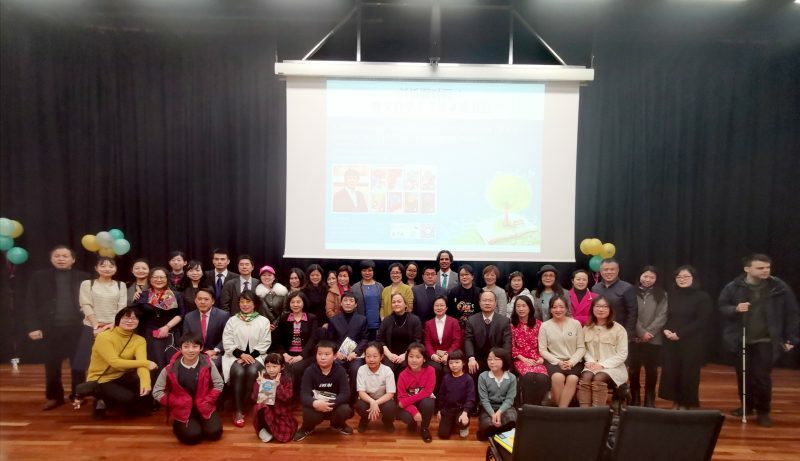 The CCC team and our volunteers, Dongni Wei and Lekha Choksi.